Easy Strip peices Trip Around the World. 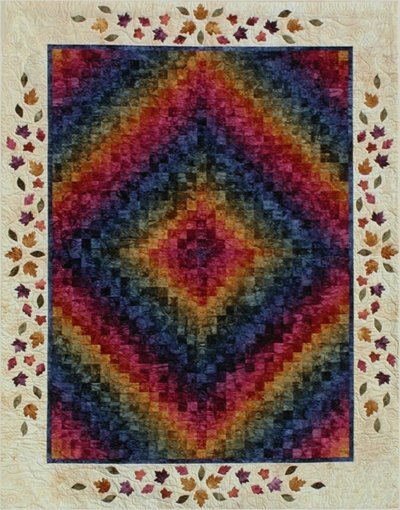 This quilt is designed from the same rich colors as New England. Quilt finishes 84" x 104".